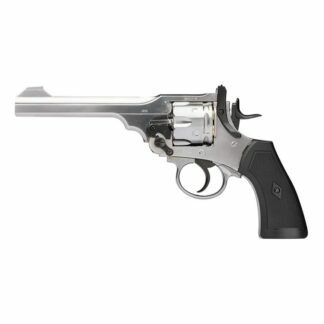 Webley & Scott produced their iconic service revolvers for HM Armed Forces from 1887 until 1963. 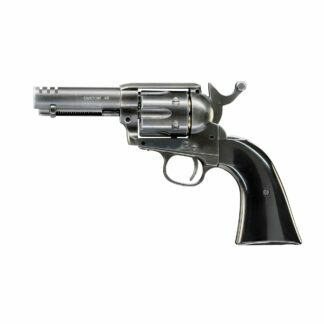 Webley are now pleased to announce production of this co² powered, 6mm BB firing air pistol replica. 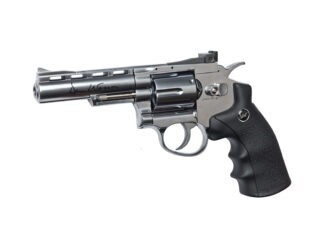 Built from the original blueprints, it is full sized and true weight (2.4lbs), with full metal construction and 6” barrel. 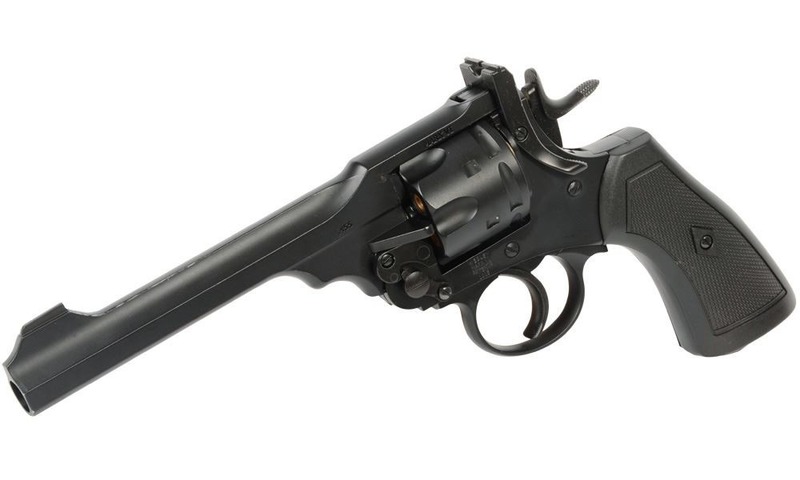 With a double or single action it loads, cycles, fires and ejects just as the original, it also carries original 1915 markings and is field strippable. 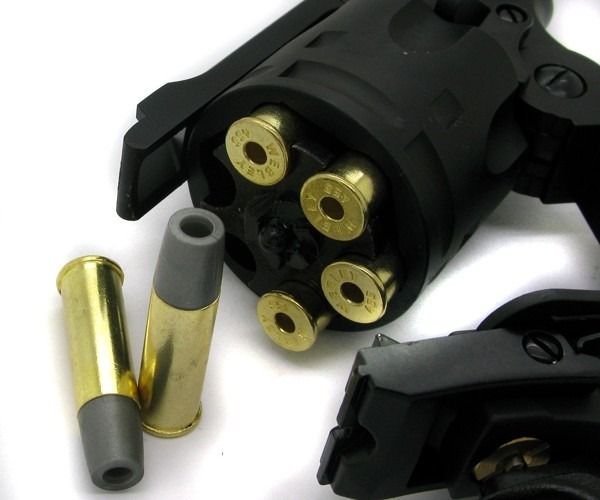 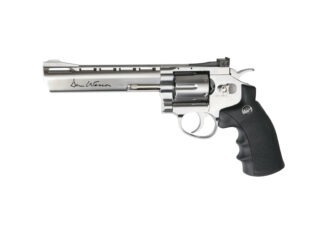 Description The shortest of the Dan Wesson revolvers is this version with a 4” barrel….